This dress is amazing! It shows off your curves beautifully. 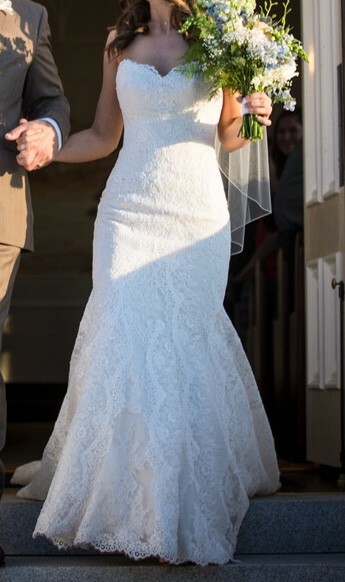 I wore this dress for my wedding last year. It was professionally cleaned and preserved. It is in the box from the preservation company as shown in the photo. The dress is Ivory Lace over Oyster Dolce Satin and has a corset back. 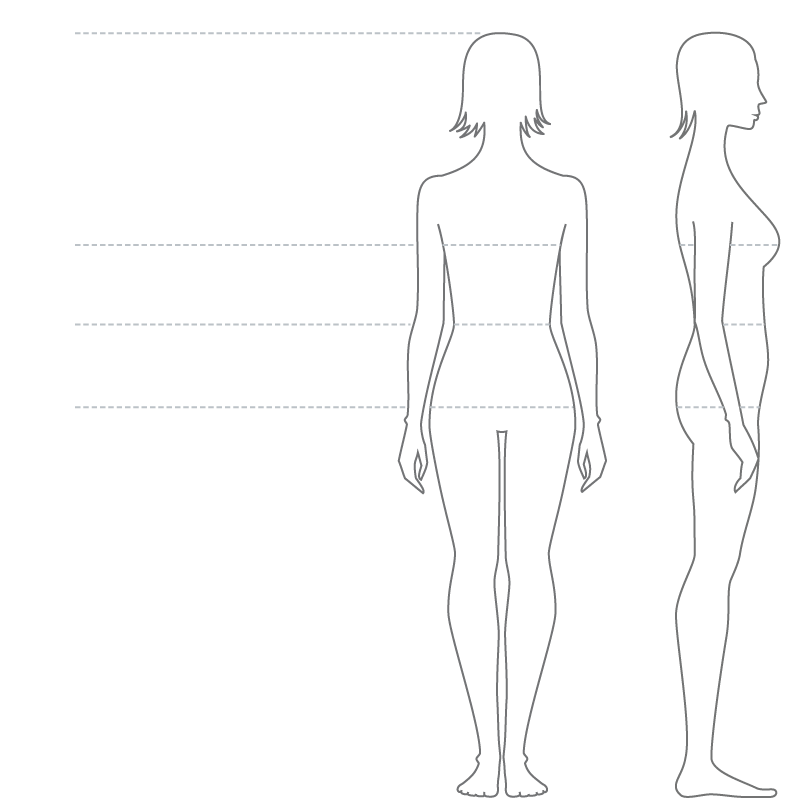 My approximate measurements are: 34" bust, 26" waist, 38" hips. The dress was altered to fit me. There is a little room larger or smaller because of the corset. I also added a 3 button bustle. There is a photo of the dress bustled. It also has cups sewn in to the bust. It was shortened to approximately 5'6". If desired, I have the extra lace that was cut off and could be used for straps.